If your home has a musty odor, has experienced water leaks or flooding, and/or your walls and ceilings have water stains; you may need to hire a mold inspector. Mold exposure can cause a wide range of health related symptoms such as wheezing, rashes, itchy eyes, runny nose, respiratory illnesses, swollen glands, swollen tongue, eye irritations, internal organ issues, nervous system problems, and in some instances, can kill you. Most people do not know that some types of mold and the dangerous toxins they produce, are some of the most deadliest compounds on the planet. Some types of mold are used for making pharmaceuticals, while other molds and their by-products are used for making weapons. 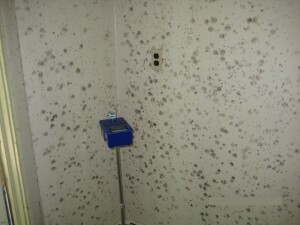 In short, Mold should be removed as soon as it is detected. The fact that it is already present shows that the perfect environment for mold has already been provided and it can spread vehemently in less than 24-48 hours. What causes mold to grow in your home? If you have areas of high humidity, constant condensation and have had floods or long term leaks, chances are you have mold. Paint and wallpaper may peel or have bubbles under it due to moisture. Walls may also experience warping. 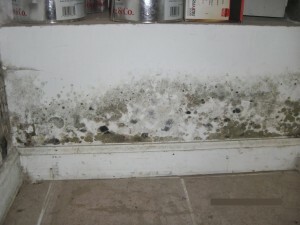 Mold also grows on dust so a dusty house is more likely to have mold. There are many species of mold with various appearances. They may look white, brown , black or grey-green. Underneath wallpaper it may even appear orange, pink or purple. Mold should never be allowed to continue growing once detected. What should you do if you suspect mold is growing in your home? If you find a large area of mold do not disturb it. This can spread spores or mycotoxins all through your home.When the spores spread they can cause new mold growth in your home where the conditions are optimal. Mycotoxins are toxins that are produced by some species of molds. Some molds may be harmful so molds should always be tested. It is always best to call a professional mold inspector to test and remove mold in your home. Why do you need to hire a mold inspection service? Making the decision to remove mold without hiring a mold inspector is not ideal. 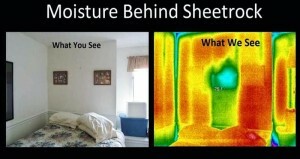 Mold inspectors are trained to identify all the places that mold may grow. Under the guidance of a mold inspector, you can be sure that all the mold growing in your home is removed. Qualified NYC mold inspectors check places such as wall cavities, basements, attics and even the air. They employ the use of special equipment such as moisture meters and borescopes. When putting your house up for sale you are legally required to disclose whether your house had mold in the past. Having a document from a mold inspector stating that all the mold had been removed is definitely a benefit. In the event you need to remove mold, ensure that all water problems are fixed before mold removal. This prevents the issue from recurring and maintains a much safer home environment. If you think you have a mold problem, please call Five Boro Mold Specialist for more information on our NYC mold inspection services.